Had time to do a couple towel for my DIL to add to her collection i was asked for 10 or more***Please pray for me i take my brother to Cancer Doctor tomorrow morning to hear the bad news !!! !found spots Anyways I also got kidney issues and doctors can't get results as some !!!! !hijacked all the hospital files from all the hospitals in our area !!!! !Got more med's so i am not hurting badly!!! !Thanks for LQQKING and Listening!!! !Hugs Carolyn Hope !!!!!!!!!! don't mean swearing Mops And i am sorry if anyone else thought my pretty stars meant that cause they sure didn't mean that to me ok!!!! !I could also add i never took typing in school and i only learned computer because i want to sew thus no clue about this sort of this ***Truly Sorry !!!! 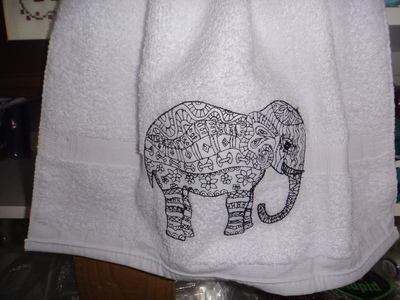 Carolyn, I think all your towels are first class, you do so much for others, you have a very generous kind heart and nature. You are always there for others ,don't change. Symbols are symbols and we all know you don't mean bad things when you try to express yourself. I do hope that you can get some good results for yourself , and I am sure you are such a comfort for your dear brother Donnie. You can only be there for him come what may and I am sure he appreciates all your efforts and caring. Hope that you are all home safe and sound now, I have been away again and just now catching up on all the news. Take care my friend. Love to see all the things you make Caroline. 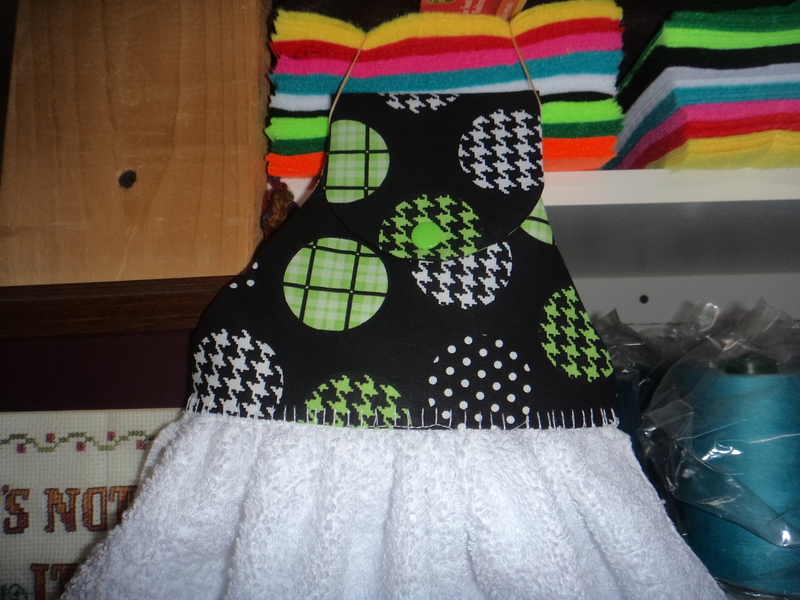 Wish I could get as much done in my sewing room as you seem to accomplish everyday. I think it is a shame that because people don't understand something that they jump to the worst conclusions. Think happy thoughts fellow stitchers and be supportive. Remember.... "If ya can't say nothin nice, don't say nothin at all." good one but to late lol love ya hugs!!!! Any roof in Australia will be happy to take your excess snow from you. 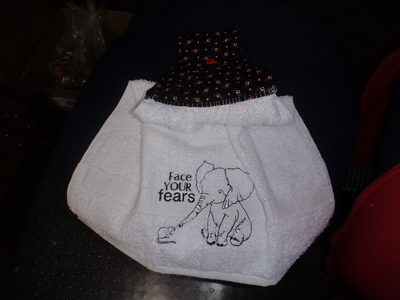 Stay warm and safe on the roads and keep on showing us your wonderful towels. 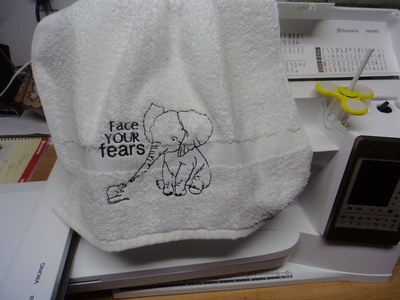 Oh, yeah, and Carolyn--I love your towels! What a load of hog wash! An asterisk, or any other symbol, is only perceived as a swear word when it is a REPLACEMENT letter, WITHIN the other letters of the actual swear word. Now everyone knows I don’t mean darn! Otherwise, one intention of an asterisk is to bring attention to a specific word or sentence, usually followed by an explanatory footnote at the bottom of the page! For heavens sake, 3rd grade English taught this at school. 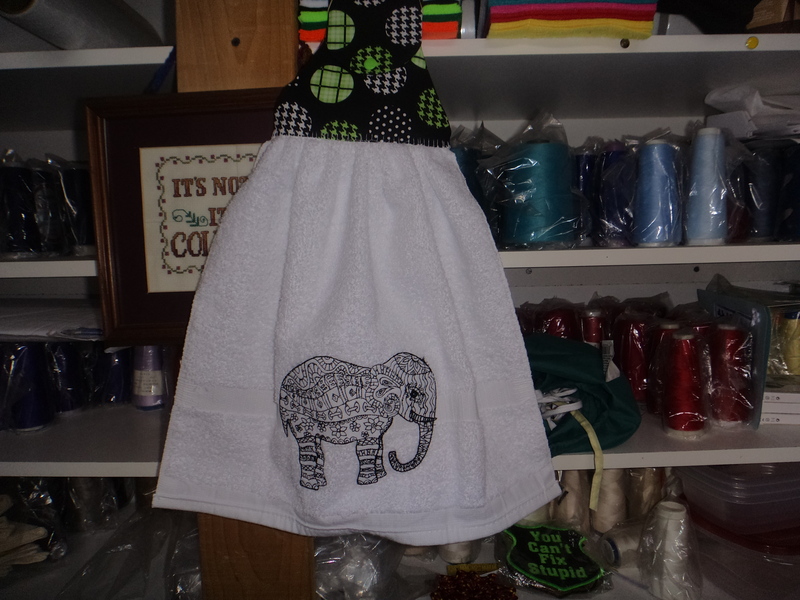 These are great towels, Carolyn.....love the fabrics you choose to use! I have never ever heard of the asterisk being a swear function.....and certainly would never expect it from you......will pray for your brother! Never thought you were swearing with the stars. Maybe some one needs to come up with a foot stamping on the ground in frustration for us to use. Your Brother must have a positive attitude to keep fighting the Cancer. As long as the Doctors can keep him pain free it will be a blessing. Hope you get your results soon and feel better soon. Love your towels as always. I don't understand why it was brought to your attention now about using ***** when you have been using them for a very long time. Also it should have been in a Private Message and not in comments for everyone to read. I know Carolyn and the type of person she is...always giving and doing for others, so WHY now. I did mention it to her in an e-mail, but I guess she didn't understand and kept on using them...my bad for not mentioning it to her again. These are such great designs! I'm loving the style of the elephant and raccoon that you've been doing; One of the many things I like about stitching is that it takes your mind away from one's troubles for a while. I'm hoping for the best for you and your brother. Love all your towels and you are always in my prayers. I can understand your frustration about the missing files and the stars before hijacked are a nice way to hide swearing. I hope they can help you. But why swear after thanks for listening or any other place? Seriously, Martine? I think it is a bit presumptuous to assume that any time anyone uses keyboard characters, they are swearing. Hoping for some good news about your brother. Me to but not likely!!!! Mops does !!!!! mean swearing to???? Love all the towels that you do, these elephants are sew cute! Thinking of you and praying for good results for you and your brother. This isn't correct. Anyone can ask. If the design comes from a website that does not follow US and International laws, then the link is not allowed. I've no idea where the "rule" came from that suggests no one is to ask. That is silly. How would new Cuties know? thanks i two thought we couldn't ask sorry.. But Carolyn, we have told you that many times in PM's. The easiest solution is to only get designs from law abiding websites. There are so many websites out there that I certainly have a hard time knowing that they are stealing other's work or not. Or, whether a the site itself monitors the designers. Nope nothin good here today !!!! !